A new report names San Francisco as the No. 2 best city in the country for food aficionados, slightly behind Portland, Oregon. San Francisco ties New York City for the most restaurants per capita. Santa Rosa ties several other cities for the most wineries and craft breweries compared with the population. From stunning natural beauty to pleasant year-round weather to unique architecture, San Francisco has a whole lot going for it, not the least of which is the city’s fabulous dining scene. San Francisco is in fact the second-best U.S. place for food aficionados in 2018, according to a new study from WalletHub. The company ranks more than 180 cities on a 100-point scale based on 29 criteria that fall into two major categories: diversity, accessibility, and quality; and affordability. With a total score of 68.82, San Francisco narrowly misses being crowned as America’s top foodie city, with Portland, Oregon taking home that honor. The City by the Bay ranks No. 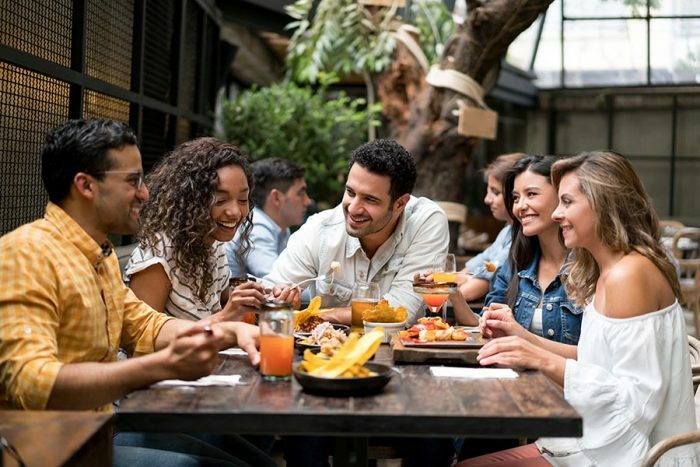 2 in the nation in the diversity, accessibility, and quality category, which includes criteria such as number of restaurants per capita, mix of cuisines, and presence of Michelin-starred restaurants. Perhaps not surprisingly, though, San Francisco falls closer to the bottom of the pack when it comes to dining affordability. San Francisco ties New York City for No. 1 in the country for the most restaurants and coffee shops per capita. The city also ranks in the top five in America for most gourmet food stores compared with the population, along with Los Angeles, which comes in at No. 5 on WalletHub’s list of best foodie cities. Earlier this year, WalletHub named San Francisco as America’s healthiest city, in part based on its dining scene. The city scored the top spot in that study’s overall food category, boosted by its high number of healthy restaurants and percentage of residents who consume an adequate amount of fruits and vegetables. San Diego, Sacramento, and Oakland also crack the top 20 for culinary superiority. And while Santa Rosa does not appear on the list until No. 65, the Sonoma County seat ranks No. 1 in the country for the most full-service restaurants compared with fast-food establishments and ties four other cities for the highest number of wineries and craft breweries per person. Getting hungry yet? Check out the San Francisco Chronicle’s latest list of the Bay Area’s 100 best restaurants. And foodies who really want to raise the bar should consult Michelin’s official 2018 guide; the Bay Area is now home to seven three-star restaurants, including the world-famous French Laundry in the Napa County town of Yountville.